Sales Complex Manager Mark Wright originally hails from Doncaster. He was educated at Danum Grammar School, followed by a commercial course in economics. 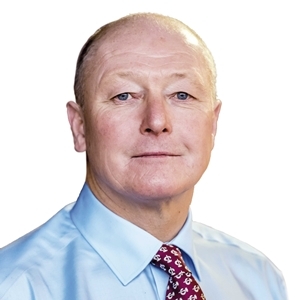 After joining the Trafalgar House Group in 1979, he progressed through their internal training programme and eventually transferred to their international division and taking up a post in Cairo. Following three years in Cairo, he returned to the London office. This then led to further overseas postings in Zimbabwe, Zambia and Nigeria. In more recent times, Mark worked with a number of high-profile construction companies, prior to taking up the post of Procurement and Logistics Director with a company in Yorkshire. Following a sustained period of positive financial results over a number of years, the company was sold and Mark eventually moved on to take up the position of Procurement and Engineering Manager with Algeco Scotsman, based in La Défense, Paris. In March 2018 Mark joined Goffs UK Ltd to take up the post of Sales Complex Manager. Having been involved with horses and racing for most of his life, Mark is a keen horseman and enjoys hunting with the Barlow in Derbyshire. Mark is married with two grown up children, and has recently become a grandfather.